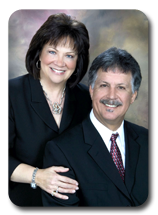 Tom and Phyllis Benigas were with us yesterday in service at Celebration. They served as our Assemblies of God Pen-Florida District Youth Directors for 24 years, and are now headed to Europe on the missionfield. It was such a blessing to have them share about their new direction, as well as have Tom preach. Many people received a touch from God at the altars at the conclusion of the service. Phyllis's book was such a hit they ran out of them and had to go get another box from the car to make available to the people! I began reading it this morning and it's just wonderful. The best thing for Larry and I was the opportunity to publicly thank them for all they have invested into our kids. They have invested in all of Pen-Florida's kids for 24 years, but I am particularly grateful for what they have poured into our three children. My husband shared with the church that there was a time in his life that Dustin was really hurting and in need of healing. He had experienced mistreatment from a few members of another church we pastored. It was Tom and Phyllis' ministry that really made the difference in his life. (Read Dustin's story here about his healing. He wrote about it in this essay for college.) Today, Dustin is no longer a hurting young man. He is serving in ministry and touching countless lives himself. Year after year the Benigases gave tirelessly to make youth and PK camp life changing experiences for our kids, and reached out to them through e-mail and facebook and all sorts of ways, to encourage them. They still always hear from them on their birthdays. It is important to give honor to whom honor is due. I'm so glad we had this opportunity. Pray for Tom and Phyllis as they fulfill their mission to Europe. You are really kind to say that. It has been a joy to serve Pen Florida. We had such a great time at Celebration Church yesterday, and Pastor Larry was so kind in his remarks toward us. It has always been thrilling to see the PK's succeed and it must be said that the leadership places a high value on them. I have always viewed Pastor Larry as a hero because of his personal interest in leading students, and yesterday, participating in the hotdog eating contest to raise funds for the youth center, bumped my opinion up about ten notches. He ate 10 hotdogs in 15 minutes (I prayed for him today). I think he said that about $10,000 would be raised and I pray it comes in. If a great student awakening comes, and it will, it will be because church leaders believe in them, and it is evident, you and Celebration Church does. Thank you for the opportunity to be with you in the service yesterday. Thank you Tom...you are so kind! We love you and Phyllis dearly.